I am an academic pediatric neurologist with training in neuroimaging and noninvasive brain stimulation. 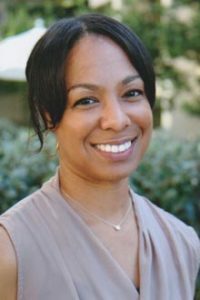 My research has focused on using neuroimaging techniques to better understand brain function and dysfunction in children and adults, including the use of structural MRI, resting-state functional connectivity MRI, and lesion mapping. Recent efforts have focused on developing a technique to visualize the networks associated with focal brain lesions to infer how remote network effects of lesions contribute to neurological symptoms. I will continue to use multi-modal neuroimaging techniques to better understand how the brain works and how its dysfunction contributes to clinical symptoms, but the ultimate clinical translation of advanced neuroimaging, in my view, will be to guide treatment using noninvasive brain stimulation. I believe there is tremendous therapeutic potential in the combined use of advanced imaging to detect dysfunctional network activity and noninvasive brain stimulation to modulate dysfunctional networks in a targeted way, which is the focus of ongoing research and clinical efforts. Exercise is known to be a powerful positive modulator of human cognitive function. In rodents, mechanisms underlying the beneficial effects of exercise on cognition include formation of synapses, enhanced neurogenesis, expression of neurotrophic and growth factors directly implicated in neural plasticity, among others. Important, yet unanswered questions remain: what is the impact of exercise on the developing brain, and at what ‘dose’ is it beneficial? More specifically, are there indelible, transcriptional and epigenetic modulations that occur as a result of physical activity during critical periods of neurodevelopment? Dr. Autumn Ivy’s scientific interest in understanding mechanisms of early life, experience-dependent neuroplasticity began as a graduate student in the laboratory of Dr. Tallie Baram. 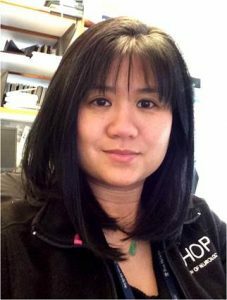 There she developed her skills in molecular biology, electrophysiology and behavioral techniques, applying these to discover a necessary role for hippocampal corticotropin-releasing hormone signaling in adult-onset cognitive impairments provoked by early-life chronic stress. This work was supported by an individual NRSA award, resulted in two first-author publications and many more collaborative publications in the lab. 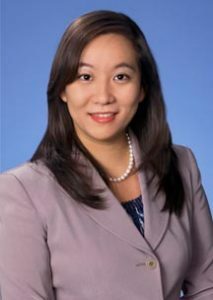 After completing her MD and PhD at the University of California, Irvine, Dr. Ivy completed her Pediatrics and Child Neurology clinical training at Lucile Packard Children’s Hospital and Stanford University Medical Center. As a child neurology resident she continued developing her basic science research experience in the lab of Dr. Tony Wyss-Coray, where she was able to harness techniques in genomic deep sequencing and microscopy to study pathologically activated microglia in genetic leukodystrophies. For the K12 award period, she will further her training and apply her expertise toward understanding the genetic and epigenetic mechanisms of experience-dependent plasticity during critical neurodevelopmental periods, using rodent models of early-life exercise. Ultimately, she hopes that this work will harness the beneficial effects of exercise on brain function to inform therapeutics for children with learning disabilities and/or those who otherwise cannot physically exercise. Hsiao-Tuan Chao is completing her final year of pediatric neurology residency training in the basic neuroscience research track at Baylor College of Medicine and Texas Children’s Hospital. She received her M.D. and Ph.D. from BCM in Neuroscience under the joint mentorship of Christian Rosenmund, Ph.D., and Huda Y. Zoghbi, M.D, where she explored the role of excitation and inhibition in Rett syndrome and MECP2-duplication syndrome. Dr. Chao’s primary research interest is to elucidate how transcriptional regulation of inhibitory GABAergic signaling modulates neural activity and affects complex behaviors through cross-species approaches in humans, fruit flies, and mice. 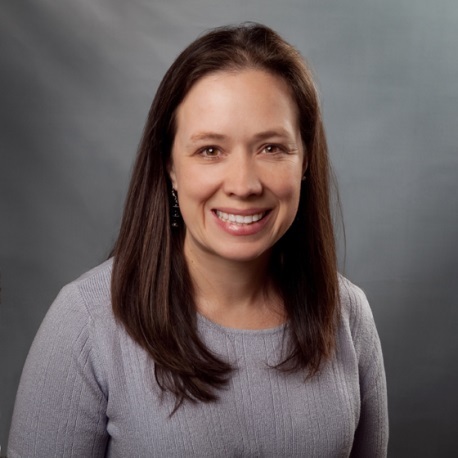 Specifically, her research goal is to obtain mechanistic insights for many neurodevelopmental disorders associated with disrupted inhibitory GABAergic signaling, including autism spectrum disorder, intellectual disability, and epilepsy. She will pursue her post-doctoral research training under the mentorship of Hugo J. Bellen, D.V.M, Ph.D. at the Jan and Dan Duncan Neurological Research Institute. Dr. Chao has co-authored several peer-reviewed publications, including lead author publications in Nature, Neuron, American Journal of Human Genetics, Nature Neuroscience, and Proceedings of the National Academy of Sciences. 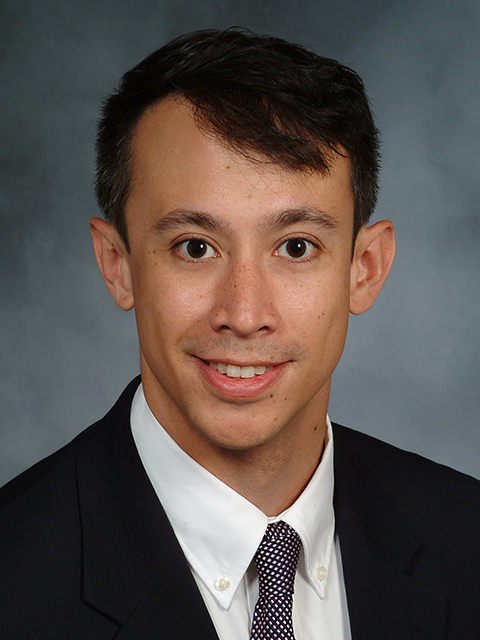 Dr. Dang finished neurology fellowship in 2014 and is specializing in the neurologic complications of cancer. Her current research project is focused on understanding the role of the immune microenvironment on the growth of brain tumors and their response to treatment. During normal brain development there is a transition from proliferating and migratory progenitor cells to stationary, post-mitotic, and highly differentiated functional neurons and glial cells. In my doctoral training, I studied how intracellular concentrations of and permeability to chloride ions in immature cells in the brain affected their ability to proliferate and migrate. As an extension of this, I am interested in the mechanisms regulating appropriate proliferation, migration and integration of neurons and glial cells in both the prenatal and postnatal developing brain and how aberrations in these processes result in neurodevelopmental disabilities. My hypothesis is that deregulation of pre and postnatal neurogenesis is a significant contributor to the behavioral phenotypes observed in intellectual disability, epilepsy and autism. Obtaining a better understanding of the underlying genetic abnormalities in these disorders, will teach us about normal and abnormal development and potentially provide direction for treatment in the future. 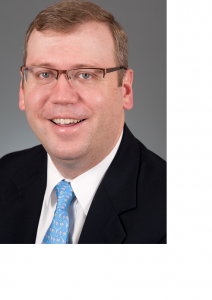 Dr. Mallack's translational research program allies with the NY State Newborn Screening Program and Patient/Parent Advocacy Groups to identify presymptomatic patients with X-Linked Adrenoleukodystrophy. He is investigating a novel, advanced neuroimaging prediction model to identify patients appropriate for stem cell transplant prior to symptom onset. He aims to become a clinical trialist, and to develop a leukodystrophy gene therapy program at his home institution. 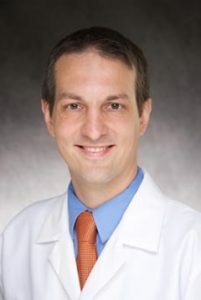 Primary mentor: Florian Eichler, MD. Dr. Mallack completed his A.B. in Philosophy and Biomathematics at The University of Scranton. He then simultaneously earned his Medical Doctorate at the Temple University School of Medicine, and his Master’s Degree in Bioethics (MBE) at the University of Pennsylvania School of Medicine. He completed his Pediatrics and Child Neurology Residency at NewYork-Presbyterian Hospital/Weill Cornell Medical Center. 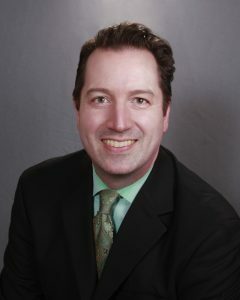 Dr. Mallack is a faculty neurologist and clinical researcher in the Center for Neurogenetics at Weill Cornell Medicine. He is also investigating specified genotype-phenotype relationships in autism under the Weill Cornell Autism Research Project (WCARP). The pathway to become a pediatric epileptologist requires six years of dedicated clinical training with limited time for research. Despite this, I embraced every opportunity available to pursue research projects that would give me both a general exposure to the physician-scientist pathway as well as foundational skills in statistics and clinical and translational studies. These efforts resulted in publications stemming from my work in radiographic imaging, the analysis of large datasets, and the use of magnetoencephalography to study individuals with epilepsy. As I complete my clinical training, my focus is now shifting toward a more research-oriented career. Over the next several years, I will use my background in computer programming and working with information systems to build a knowledge base in computational neuroimaging and neurophysiology. I look forward to the opportunity to grow into an independent research with the support of the NSADA/CNCDP K12 grant. Dr. Fay joined the Child Neurology faculty at the University of California, San Francisco, after completing a fellowship in Neuromuscular Medicine at Washington University. He received his PhD in Biophysics in 2006 from the University of California, San Francisco, where he studied ion channel biology, focusing on the localization of connexin proteins to gap junctions, as well as potassium channel regulation of neutrophil free radical production, in the laboratory of Dr. Lily Jan. After completing his MD in 2010, he began an internship in Pediatrics at St. Louis Children's Hospital, and completed two years of Pediatrics training, one year of Adult Neurology, and two years of Pediatric Neurology. He became board certified in Neurology with Special Qualification in Child Neurology in the fall of 2015. 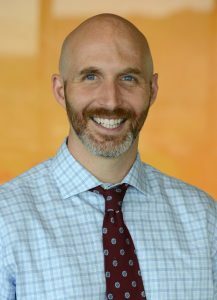 Following his residency, he completed a one-year fellowship in Neuromuscular Neurology at Washington University, where he divided his time between patient care, electrodiagnostic testing, muscle and nerve pathology, and research. He was involved in evaluating patients as part of many research trials for several conditions, including Duchenne muscular dystrophy, spinal muscular atrophy, Pompe disease, GNE myopathy, and amyotrophic lateral sclerosis. Dr. Fay was awarded a K12 grant by UCSF Department of Neurology in December 2015, and began his appointment at UCSF in July 2016. 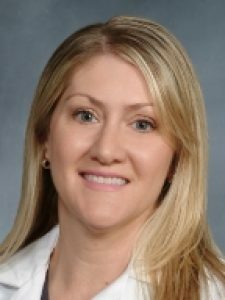 Dr. Hennika completed her Child Neurology training at Children’s Mercy Hospital in Kansas City, MO followed by a Neuro-Oncology fellowship at Duke University. During her clinical pediatric neuro-oncology training she was profoundly affected by the poor survival of many children with brain and spine tumors despite providing them with the best available treatments and clinical trials. Under the mentorship of Dr. Oren Becher she tested novel anti-cancer drugs both in vitro and in vivo using a DIPG mouse model, with hopes to then translate these findings into clinical trials. During her Neuro-Oncology fellowship, she published two first-author review articles and a first-author original research manuscript, as well as receiving an award at the Society of Neuro-Oncology (SNO) annual conference for her DIPG research poster presentation. Currently, Dr. Hennika is an Instructor of Pediatrics at Weill Cornell Medical College and Assistant Attending at New York-Presbyterian Hospital. She is board certified in Neurology with Special Qualifications in Child Neurology and Neuro-Oncology. To further her research training, she received a Child Neurologist Career Development Program award (CNCDP-K12) under the mentorship of Dr. Praveen Raju and Dr. David Lyden. Her research project investigates circulating exosomal microRNA as biomarkers of medulloblastoma progression, metastasis, and recurrence. 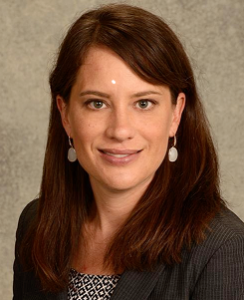 Dr. Viehoever is an Assistant Professor in the Divisions of Child Neurology and Surgical Movement Disorders at UCSF. She sees patients at the UCSF Pediatric Brain Center at Benioff Children's Hospital in San Francisco and Oakland. She also sees pediatric referrals for Deep Brain Stimulation as part of the Surgical Movement Disorders Program at the Mt. Zion Campus. 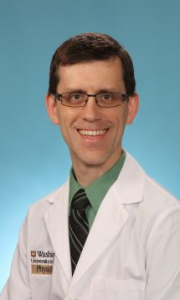 Dr. Viehoever's research focuses on improving the understanding and treatment of pediatric movement disorders with a special focus on improving the use of Deep Brain Stimulation (DBS) for pediatric primary and secondary dystonia, including Cerebral Palsy. She uses advanced MRI and optical imaging to improve our understanding of how DBS improves brain function in both adult and pediatric patients. She is also an expert in rare disease research. 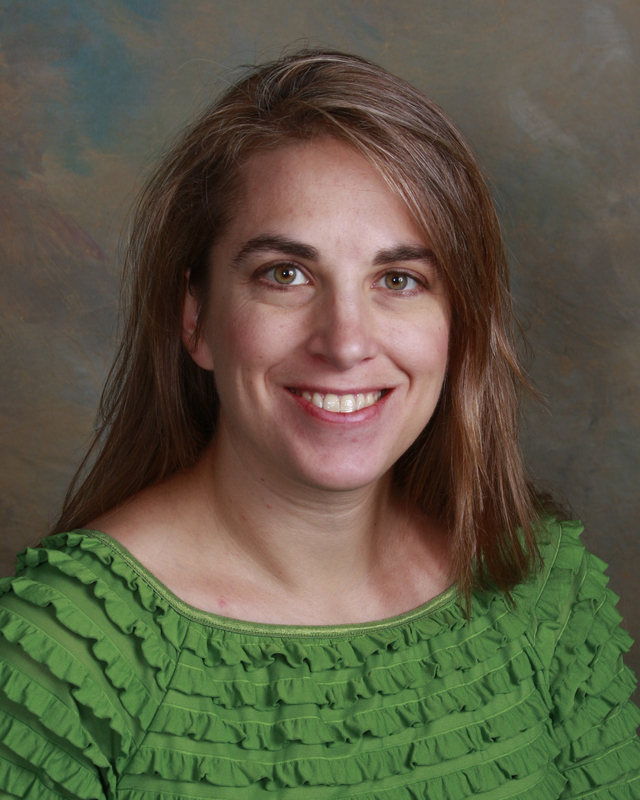 Stephanie M. Morris received her undergraduate and medical degrees for the University of Arizona, and completed residency in Pediatric Neurology at Washington University in St. Louis. She is currently an instructor of neurology at Washington University School of Medicine. Her clinical focus is caring for children with Neurofibromatosis Type 1 (NF1) with specific interest in diagnosing and treating those with neurodevelopmental and behavioral disorders including autism spectrum disorder (ASD) and attention-deficit/hyperactivity disorder (ADHD). 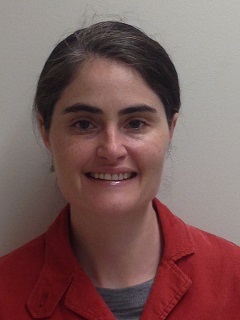 Her research interests involve the deep phenotypic profiling of neurodevelopmental disabilities in NF1, identifying key genomic alterations underlying development of cognitive and behavioral impairments, and translating this comprehensive understanding into clinically useful predictive models of developmental and behavioral disability in children with NF1. As a result of her current training under the NIH Child Neurologist Career Development Program (CNCDP), she led an international collaborative study which systematically characterized the quantitative phenotype of ASD in patients with NF1 and has several other related clinical studies underway. Think about the type of patient you will be excited about seeing at 3-o-clock in the morning when your oncall pager awakens you. Then, pursue training in the specialty that has lots of that type of patient. I received that advice from a senior physician-scientist as a first year medical student, and it led me to my current role as a child neurologist and physician-scientist with expertise in the clinical management of autism spectrum disorder (ASD) and its comorbidities, as well as expertise in exploring the molecular neurobiology of these conditions. Previously I trained with Dr. Huda Zoghbi and gained experience in molecular biology, mouse genetics, and animal behavior by modeling Rett syndrome in mice. I then completed residency training in child neurology, which honed my expertise in diagnosing and managing ASD and its comorbidities. I developed further experience in microarray technology and microscopy as a research fellow training with Dr. Jeff Milbrandt by modeling syndromic ASD in mice. Now I am particularly interested in pursuing epigenetic mechanisms underlying ASD, which are potentially treatable, and I am well prepared to ask scientific questions about these mechanisms using my core set of laboratory and clinical skills. My immediate goal is to build on this skill set by adding training in electrophysiologic, bioinformatic, and high-throughput genetic techniques, while simultaneously pursuing the novel epigenetic mechanism described in my specific aims and research strategy. My long-term goal is to use these skills to advance ASD science to the point where postnatal epigenetic treatments are feasible and the 3 AM phone call is for a cure, not just a diagnosis. I am board certified in pediatrics and neurology with special qualification in child. A developmental neurologist who focuses her clinical practice on children with attentional and language based learning difficulties, concentrating on the developmental concerns of children with complex medical needs and those with a history of perinatal brain injury. She researches early markers of persistent neurodevelopmental disabilities following perinatal brain injury related to prematurity or hypoxic-ischemic encephalopathy. She graduated with honors with a bachelor’s degree in Linguistics from the University of Chicago in 1994. She then taught bilingual special education in Washington, DC for 5 years before entering medical training. She received an MD/PhD in 2008 from the University of Illinois, with the PhD in speech and hearing science, focusing on language acquisition. Her dissertation explored the effects of environment on the assessment of word learning. She then trained in general pediatrics at the University of Maryland Medical Center before receiving specialized training in neurodevelopmental disabilities at the Kennedy Krieger Institute. She now works in the Johns Hopkins NICU as the medical co-director of NEST, which is a multi-disciplinary group focusing on meeting developmental needs of infants in the NICU and as a member of the Neurosciences Intensive Care Nursery. She is co-director of the Study on perinatal brain injury recovery and outcome (SPROUT) research collaborative at the Kennedy Krieger Institute. Dr. Elitt has a clear commitment to research and a strong foundation in scientific investigation beginning in his undergraduate years at Brown University. He worked for several years with Barbara Stonestreet, an internationally recognized academic neonatologist, studying the effects of antenatal steroids on in utero ischemic brain injury in preterm fetal sheep. His work resulted in an honors thesis in neuroscience and two publications. He then moved on to the Medical Scientist Training Program at the University of Pittsburgh School of Medicine where he was equally successful. Working with neurobiologists Brian Davis, PhD and Kathryn Albers, PhD, he investigated the role of target-derived growth factors in the development of chronic pain and defined a novel population of nociceptors responsive to the GDNF-family member artemin. He demonstrated that artemin upregulated TRP channels (TRPV1 and TRPA1), resulting in behavioral sensitivity to heat and cold. He developed critical skills in anatomy, immunocytochemistry, mouse behavior and calcium imaging during his PhD, which was notably completed in a record three years, highlighting his efficiency and determination to conduct his research projects to successful completion in a timely fashion. Importantly, his PhD work resulted in three publications, including a first-author paper in the Journal of Neuroscience. Several very recent studies have confirmed that anti-artemin immunotherapy is effective at treating cold allodynia and hyperalgesia, highlighting the direct translational potential of Dr. Elitt’s prior basic science studies. He then moved to Boston during his last 6 months of medical school and returned to investigating perinatal brain injury in Paul Rosenberg’s laboratory. Building on shared research interests with Dr. Rosenberg and expertise from his PhD work, Dr. Elitt charted an entirely new area of investigation into the potential role of TRP channels in the pathogenesis of white matter injury in the premature newborn. He successfully obtained independent funding from multiple sources and generated exciting preliminary data that forms the basis for his K08 application studying the role of zinc homeostasis and TRP channels in oligodendrocyte development and injury. 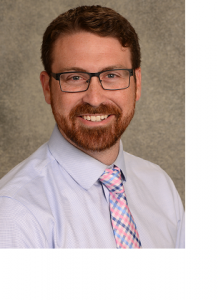 During his initial time in the Rosenberg lab, he also formed a relationship with Dr. Joseph Volpe who has agreed to serve as a co-mentor and will bring a wealth of clinical and basic science expertise to his project. In 2015, Dr. Elitt was promoted to a faculty position as Instructor of Neurology. He currently performs fetal neurology consultations and cares for infants and children born prematurely in the Fetal-Neonatal Neurology Program one afternoon per week. This clinical work is a perfect complement to his laboratory studies.